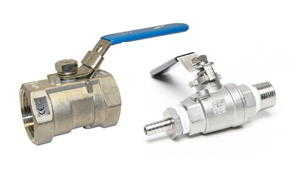 KHD Valves Automation Pvt Ltd is a High Quality Two Way Ball Valves Manufacturer in Mumbai, Maharashtra, India. We are a leading manufacturer of Two Way Ball Valves in Mumbai and nearby areas. Our Two Way Ball Valves are manufactured according to International ASTM ANSI Standards, ASTM API Standards, ASTM DIN Standards in India. Mail us for Easy and Quick Quotes at Factory Prices. A Ball Valve is a form of quarter-turn valve which uses a hollow, perforated and pivoting Ball to control flow through it. It is open when the ball's hole is in line with the flow and closed when it is pivoted 90-degrees by the valve handle. The handle lies flat in alignment with the flow when open, and is perpendicular to it when closed, making for easy visual confirmation of the valve's status. Two Way Ball Valves are hard wearing, performing well after many cycles, and reliable, closing securely even after long periods of disuse. These qualities make them an excellent choice for shutoff and control applications, where they are often preferred to gates and Globe Valves, but they lack their fine control in throttling applications. 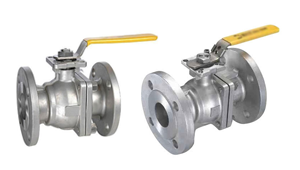 KHD Valves Automation Pvt Ltd's Ball valve's ease of operation, repair, and adaptability lend it to extensive industrial use, withstanding pressures up to 1000 bar and temperatures up to 752 °F (400 °C), depending on design and raw materials used. Sizes typically range from 0.2 to 48 inches (0.5 cm to 121 cm). Valve bodies are made of metal, plastic, or metal with a ceramic; floating balls are often chrome plated for durability. One disadvantage of a Ball valve is that they trap water in the center cavity while in the closed position. In the cold climates, the sides can crack due to the expansion of ice forming. Some means of insulation or heat tape in this situation will usually prevent damage. Another option for this situation is the "freeze tolerant Ball valve". 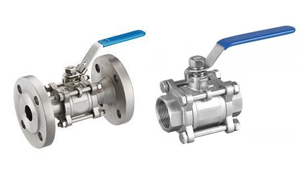 This style of Ball valve incorporates a freeze plug in the side so in the event of a freeze up, the freeze plug ruptures (acts as a sacrificial disk), thus making for an easy repair. Now instead of replacing the whole valve, just screw in a new freeze plug. KHD Valves Automation Pvt Ltd mainly manufactures Industrial Two Way Ball Valves. Each and every Ball valve passes through stringent quality control tests at every stage of production and each valve is made perfect in every respect. Optimum quality of raw material is used for manufacturing. Each Ball valve is tested on In-house Modern facilities as per latest Indian / International Standards for Hydraulic and Pneumatic Testing. Standardization of Two Way Ball Valves components manufacturing is done which ensures easy interchangeability and hence maintenance becomes most easy and quick. We manufacture Valves from a genuine guaranteed raw material with a material test certificate, hydraulic test certificates, Mill TC 3.1.b available with all supply. 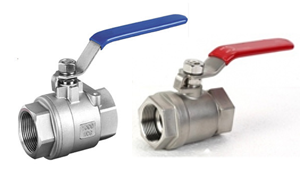 KHD Valves Automation Pvt Ltd offers Two Way Ball Valves 3 PC design. These Valves are heavy duty normally called 800# and 600# Rating. KHD Valves Automation Pvt Ltd Three Way Ball Valves can quickly and easily be fitted with a pneumatic, electric or hydraulic drive, even when they are operating. KHD Valves Automation Pvt Ltd Four Way Ball Valves are widely used in all industrial process, like gas, power, oil, petrochemicals refineries. KHD Valves Automation Pvt Ltd Single piece design Ball Valves are the Best Ball valve for just about every Industrial application. They are made from bar stocks sand cast in various materials. 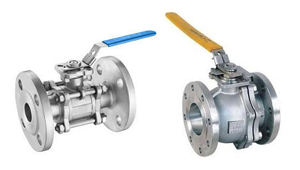 KHD Valves Automation Pvt Ltd offers two-piece Design Ball valve in Reduce port design with Flanged end connections Ball Valves has split body design which meets all the customer requirements. 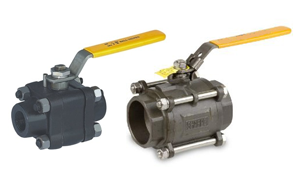 KHD Valves Automation Pvt Ltd Three piece design Ball Valves can be operated by the actuator, on-off type, with limit switch solenoid Valves as per customer requirements.